Lifeguards needed for Summer 2019 Season at Hero Water Sports! Redcross Open Water Lifeguard certification required (or be atleast 16 years of age and willing to obtain said certification)! Looking for responsible, dependable, enthusiatic and customer friendly individuals that are searching for a fun and entertaining summer position. 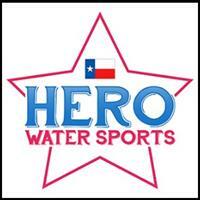 Hero Water Sport's opening day is April 13th- currenlty accepting applications, please email to info@herowatersports.com!